^ Ott, Michael T. (1912). 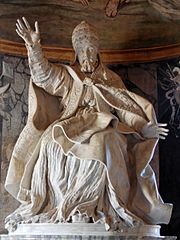 “Pope Urban VIII”. The Catholic Encyclopedia. XV. New York: Robert Appleton Company. http://www.newadvent.org/cathen/15218b.htm 2007年9月7日閲覧。. ^ Gately, Iain (2001). Tobacco: A Cultural History of How an Exotic Plant Seduced Civilization. Simon & Schuster. ISBN 0-8021-3960-4. ^ Cutler, Abigail. "The Ashtray of History", The Atlantic Monthly, January/February 2007.